As we get ready for the "prestige" dramas of the fall season, the tail end of summer brought one more hidden gem to send us forth on a high. 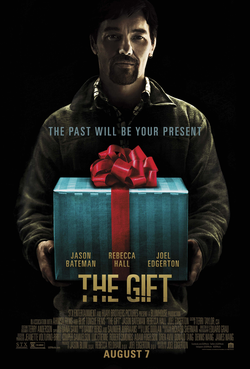 With "The Gift", talented Australian actor Joel Edgerton makes an accomplished directorial debut, delivering a taut thriller that will surely go down as one of the biggest surprises of the year. Impressively taking on triple duty, Edgerton also penned the screenplay and co-stars in the film alongside Jason Bateman and Rebecca Hall. "The Gift" begins with Simon (Jason Bateman) and Robyn (Rebecca Hall) moving into their new home in a nice neighborhood in the suburbs of Los Angeles. Everything is perfect until one day, they meet a man named Gordon "Gordo" Moseley (Joel Edgerton), a long-forgotten classmate of Simon's. He seems friendly at the start, as the two men quickly reacquaint themselves and Robyn takes a liking to him. But Gordo starts exhibiting strange behavior, leaving gifts on their doorstep and showing up unannounced. When they probe him for answers however, Gordo is always ready with a reasonable explanation. But as Gordon gets increasingly involved in their lives, Simon starts to get suspicious, recalling the circumstances that gave him the nickname "Gordo the Weirdo". As secrets and lies start to emerge from the shadows, Simon and Robyn come to realize that Gordo could be an even greater threat than they could have ever anticipated. As the mystery unfolds, Edgerton's screenplay keeps you guessing at every turn. Is Gordo genuine? Is he dangerous? And most of all, why are they allowing him into their lives? From scene to scene, "The Gift" is an astute study in human behaviour, shining a light on our capacity for kindness and its limits. The psychological complexity underpinning the film can largely be attributed to the triumvirate of strong performances from the cast. 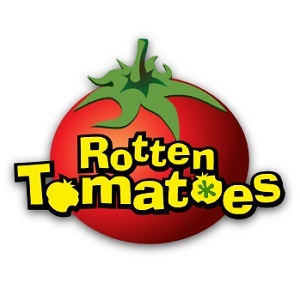 As Gordo, Edgerton subdues his leading man appeal for his most unnerving performance to date, while Jason Bateman shows a new side of himself with an assured dramatic performance (though thankfully keeping some of his sarcastic wit). The standout performance belongs to Rebecca Hall however, here reminding us that she's one of the most undervalued actresses of her generation. She's the glue that holds the film together, bringing subtext to her interactions that surpass the written script. Her quiet anxiety and fragility bear striking similarities to Mia Farrow in "Rosemary's Baby". Indeed, "The Gift" isn't shy about its inspirations, as Edgerton's direction recalls classic thriller techniques, particularly those pioneered by Alfred Hitchcock. Edgerton's jump scares therefore feel unoriginal, but the way he ratchets up the tension while maintaining the mystery shows a high level of competence. If you appreciate a good scream and a thought-provoking plot, then you're in good hands.